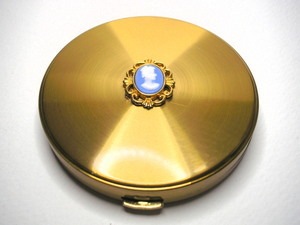 Attractive vintage powder compact by Margaret Rose. 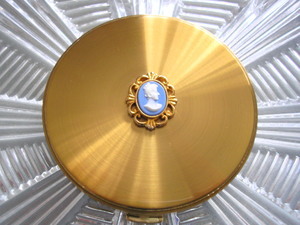 This powder compact is made from gold tone metal and features a small cameo of a lady in the style of Wedgwood. 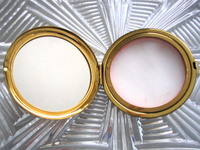 This vintage compact comes with its original sifter and black pouch, but holds no powder. It is in excellent condition, with no foxing to the mirror and with just a few miniscule blemishes befitting an item of this age. The clasp is nice and firm. 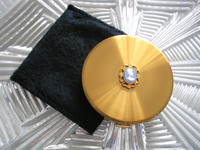 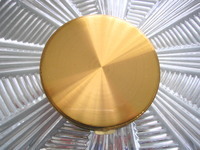 This piece looks as if it has been barely used and would make a lovely gift or present to yourself.